Disclaimer: If you are aware of ‘Bakers End’ and have enjoyed parts 1 and 2, the following review will make sense. If ‘Baker’s End’ is new to you, please sit down and be assured that I have not lost the plot. Enough of this niggling night time nagglemare! Work finally appears to be coming to an end on the King of Cats’ Book Tower, and as all is well with the bibliographic building that reaches the stars, we can turn our attention to erstwhile housekeeper, owner of sturdy ankles (I’ll be bound), a pocket full of cake crumbs and voice of reason, Mrs Frimbley. Oh. It seems Mrs Frimbley has gone completely galumphing mad and has started harvesting Tom’s best friends – his cabbages. Tom loves all of his cabbages of course, but Eric has that ‘something extra special’ and has warned the King of Cats that something scrumdiddlyumptiously BAD is on its way. To make matters worse, it’s raining blood on the village, the kitchen windows look like an evening at Eli Roth’s house and Mrs Frimbley seems to have a new child in the shape of some sort of demonic, screaming, root-baby-fetish-thing. Fanny by Gaslight! This is the splattiest, maddest and baddest Baker’s End of them all! 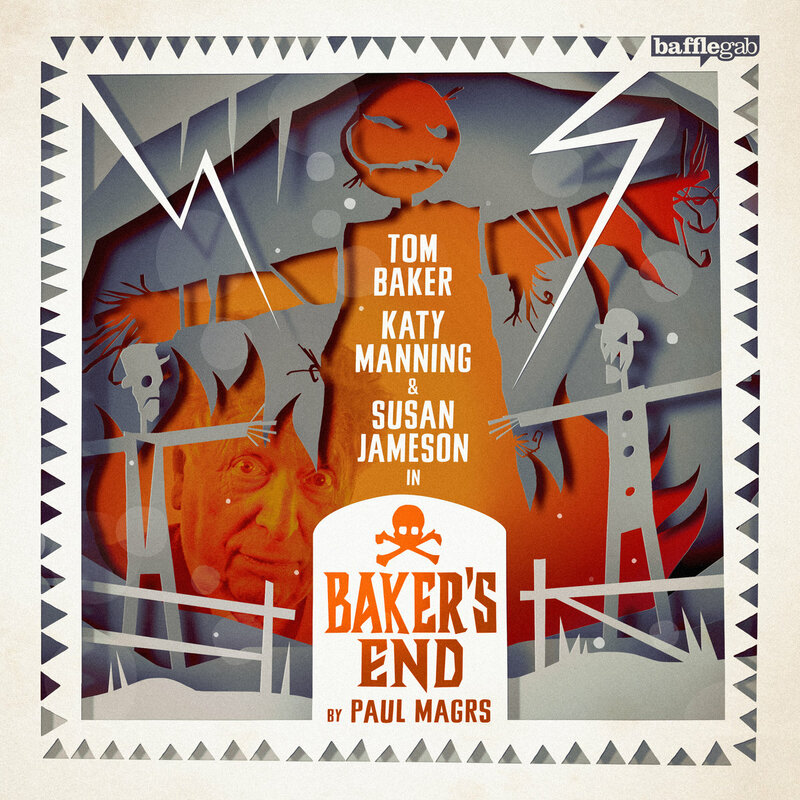 Is it any wonder Tom Baker has gone into total voice-overdrive in this latest instalment? How does Paul Magrs write this stuff without going mad or having to be locked up for his (and our own) sanity? Does he have to write in the presence of a live-in carer? The man’s a phenomenally brave and talented wordsmith indeedly-doodly. And the cast! Oh, what a treat! Katy Manning does a valiant job of trying to hold on to her sanity and tell a coherent story as Suzy Goshawk, Susan Jameson is fantastic as Vivienne Frimbley, the Queen of Happenstance…but dear Lord have mercy on my soul, Tom Baker unleashed is a magnificent thing indeed. Think Captain Redbeard Rum turned up to 11, and you’re still only halfway there.